After weeks of rumors and speculation, Canon has finally confirmed that the megapixel monster known as the 5Ds/5Ds R is real, and coming to stores here soon. Boasting 50.6MP full frame sensor, Canon has surpassed Nikon and Sony, offering us the highest resolution to date for a DSLR camera system. 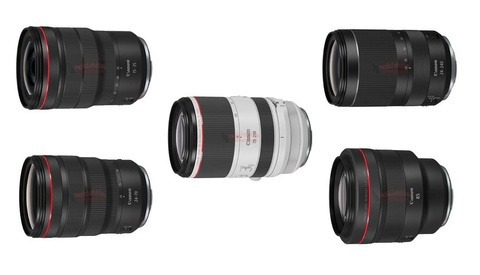 Alongside the new cameras, is the 11-24mm f/4L, finally bringing an updated ultra wide angle to the Canon lineup. Same Specs as Above, but with Low-Pass Filter Cancelled. 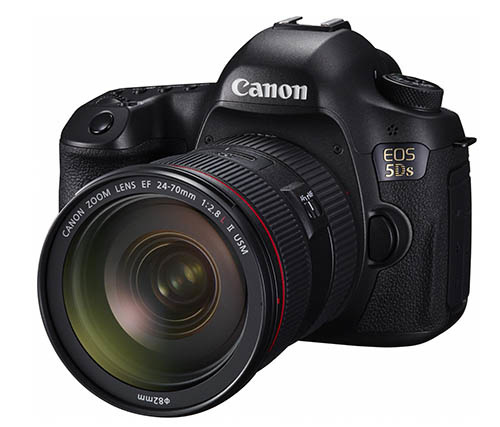 London, UK, 6 February 2015 – Canon today transforms the EOS system with the arrival of the EOS 5DS and the EOS 5DS R – a new breed of ultra-high resolution full-frame DSLRs. Breaking the boundaries of 35mm sensors,the new cameras offer the highest megapixels ever seen in a full frame sensor, an astonishing 50.6MP. Delivering unparalleled quality, the cameras provide an exceptional combination of resolution, responsiveness and durability, whether shooting landscapes, architecture, high fashion or portraiture, either personally or professionally. When nothing but the sharpest image is expected, the EOS 5DS R also features a low pass cancellation filter to maximise the sensor’s resolution and visible image quality.Alongside the new DSLRs, Canon also introduces the EF 11-24mm f/4L USM, the world’s widest-angle rectilinear zoom lens(1), the perfect companion for landscape and architecture photographers. ISO 100-6400 sensitivity, further expandable to 50-12800, ensuring high quality images with low noise, accurate colours and wide dynamic range. For added flexibility, the cameras’ resolution enables three new in-camera crop shooting modes–1.3x, 1.6x and 1:1. Visible through the viewfinder, the crop modes deliver outstanding results, with stills at 19 MP even when cropped to 1.6x. Built to withstand the most demanding shoots, the EOS 5DS and EOS 5DS R’s dual DIGIC 6 processors provide the rapid performance and responsiveness required to deliver first-class images with exceptional colour reproduction. Both processors are designed to comfortably manage huge levels of image data from the 50.6MP sensor, whilst simultaneously reducing image noise and providing the freedom to shoot at five frames per second. Created to ensure every detail of your exquisite landscape or high-fashion studio shoot is in focus, the EOS 5DS and EOS 5DS Rfeature an advanced 61-point AF system, with 41 cross-type points, delivering incredible levels of image sharpness and accuracy across the frame. Both cameras comfortably maintain focus with moving subjects, using EOS Intelligent Tracking and Recognition AF (iTR) to track both faces and colour. To reduce image blur, Canon’s Mirror Vibration Control System uses cams to drive the cameras’ mirror up and down in a highly controlled fashion, avoiding all sudden stops and softening the shutter-release sound. Additionally, the EOS 5DS and EOS 5DS R’s 150k pixel RGB+IR metering sensor with Flicker Detection ensures images can be captured with consistent and accurate exposures under varying lighting scenarios, including florescent. Putting unrivalled image quality at your fingertips, the EOS 5DS and EOS 5DS R include a number of customisable modes and settings to ensure stunning results every time. A new Fine Detail Picture Style maximises the level of detail that can be achieved from the sensor, enabling advanced sharpness adjustment without the need for edit ing software. Popular creative modes, including Multiple Exposure and HDR, provide instant, in-camera creativity, while a built-in timer allows you to shoot over long periods and create stunning time lapse videos, without being tied to the camera or needing advanced software and excessive kit. screen means that the type, size and position of icons are also easily customisable to the user or shooting scenario. Both cameras utilise Canon’s iconic design DNA–a highly durable body constructed from high-grade magnesium alloy to provide weather resilient shooting – ideal for landscape photographers who are dedicated to getting the perfect shot, whatever the weather. When nothing but the absolute maximum level of detail possible will do, the EOS 5DS R features a low pass cancellation filter to ensure the sharpest possible results. Great for landscape photographers, where patterns are very often organic, the camera’s low pass cancellation filter produces the stunning level of detail required to turn agreat shot into an incredible shot. The EOS 5DS and EOS 5DS R are compatible with Canon’s extensive EF lens range, spanning 71 models(2). 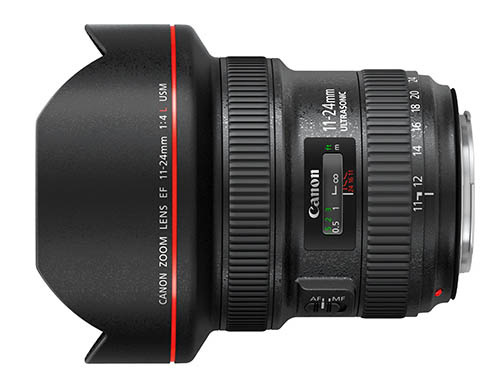 Today Canon unveils the world’s widest-angle retilinearzoom lens (1), the EF 11-24mm f/4L USM. Perfect for photographers shooting landscape and architecture, the EF 11-24mm f/4L USM is designed to open up an entirely new world of creative opportunities, thanks to its super wide 11-24mm focal range. Boasting a newly designed optical structure, the lens features three aspherical lenses including a ground aspherical element, which maximises image quality and delivers minimal levels of distortion, while the body is rugged and robust enough to be employed in extreme weather conditions. As for prices, they're not cheap. 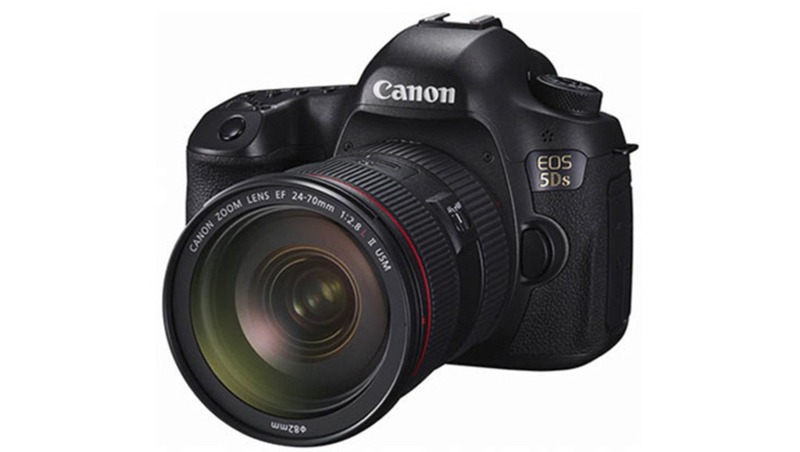 The Canon 5DS comes in at $3699, Canon 5DS R is $3,899, and the 11-24mm f/4L is $2,999. You act like that is going to stop Internet Photographers from complaining about it. Ah. My search engine only indexes English pages so that's probably why I couldn't find it. But if you think the noise in that JPEG is worse than the 5DII, then you must have gotten a spectacular copy of the 5D2, because I'm not seeing any jump back in quality, especially when taking into account the resolution. PHEW! I was worried that we were going to get through a whole comment thread about gear without hyperbolic cell-phone comparisons. Narrow miss! Nothing about the settings on this shot say that it was done in the way a meticulous landscape picture would actually be taken in. Like, who is shooting serious landscape at ISO 800 wide open? The notion of lenses not being able to keep up with high megapixel cameras is a little misleading and founded in myth. People started saying this over 10 years ago when 12 MP was a big deal. Any lens (of any quality) will show more detail with a higher resolution sensor and vice-versa every sensor will make better images with a sharper lens. This doesn't change just because you now have more megapixels to work with. Case in point, if we compare an image made on 35mm film with a modern high-quality Zeiss lens to an image made on large or medium format film with an ancient low-tech lens from the 1950's, guess which one will resolve more detail? (Larger format of course). Typically larger format lenses have had less resolving power than lenses for 35mm but that doesn't hold back the resolution of the system. So yes, you can take advantage of the higher megapixel count with the lenses currently on the market, but better glass makes "technically" better images with any sensor whether it's a 12 or 50 megapixels. OK guy........there is one image in that range and its at iso800(where did you see iso400?). Where did you buy your 5d2? I ask because mine (and almost every other copy) has a lot more noise than the 5ds samples. I will wait for full independent reviews regarding noise. With other high res sensors like the D800, noise does creep up early in RAW. However it has a pleasing fine film like grain with the smaller pixel size. Also with the noise being so fine, it is very easy to knock it out in Lightroom or Capture One without harming the quality of the finished image. What I like the most and find the most useful about the high res shots from my D800e isn't the extra resolution but that the larger file size allows those of us who like to process and even aggressively process RAW files or do aggressive image manipulation, the larger files hold up the IQ far better. Hopefully the larger RAW files on the 5DS will also have some of these qualities. Whatever... if will ever need 50mp I will rent PhaseOne. Phase would have the advantage of being MF and an amazing camera, of course. It's a completely different market and use though. Renting just the digital back takes about $700 out of your pocket. If you do it once in a year (and let's say you have some MF body and lenses to use with it) then it may be an option. If you do commercial photography and do 10-20 shoots a year when you may benefit from higher resolution sensor, then you are much better off with either buying a Pentax MF (same sensor as Phase One). If this Canon goes anywhere near MF sensor IQ wise (and if the example of Nikon 36MP sensors is anything to judge by, this 50MP sensor might be good enough) and considering the fact Canon lenses are generally speaking better than what Pentax has on offer, these new 5Ds and 5DsR might be a much better, more versatile option than Pentax 645 and certainly much cheaper than buying Hassy or Phase. Personally, I think I'd rather go with 5DsR to do the job and some MF film camera just for fun. If I will need 50mp the client will pay for MF rental. Even billboards don't require that high resolution because of the viewing distance. 35mm/50mp = high pixel density <=> nice details of chromatic aberration... problems with diffraction limitations and loss of sharpness. 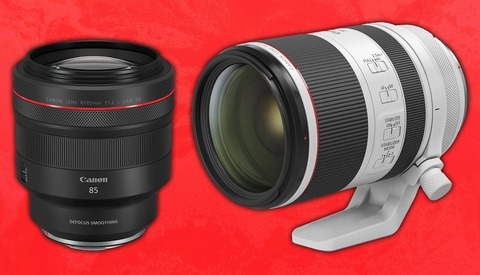 What I would like to see in new Canon is wider dynamic range. I guess pixels sell better. This is exciting, to someone who actually prints huge regularly. I wonder how it will compare to medium format cameras in the same MP range. Time will tell. Hmmm, I printed a 18 megapixel file 29 feet long at a museum and it looks great, but 50 MP would look so much better, I hope we can re-shoot it! Mike Kelley, are you going to buy it for your architecture & interior photography? This could be great! I'm just really curious if there are any canon lenses able to resolve that type of pixel power, looks like many nikon lenses can't even hold up against the 36mp of the d800. No matter what lens you use it will resolve more detail with 50MP compared to a sensor with lower MP. Considering that both Canon and Nikon make lenses that are equal to or better than the lenses used with medium format systems (which obviously make photos with stunning detail) I wouldn't worry about being held back by the lenses. Most of that notion is founded in a misunderstanding of how resolution works. Resolution is a joint effort by the sensor and lens and isn't capped by one or the other unless there is a serious mis-match in quality (like putting a coke bottle in front of your 5D. Lens has a limited resolution. Even theoretically perfect lens has a diffraction limitation. So yes, the resolution can be capped by one or another. 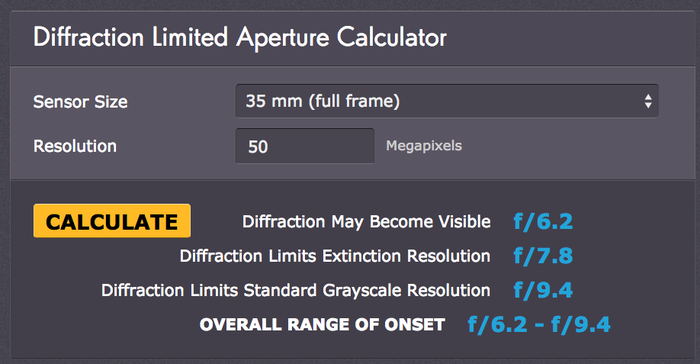 Diffraction limitations deal with how much any lens can be stopped down before resolution starts to degrade. That's a little bit different than saying the lens isn't capable of resolving a certain amount of detail. While I am no optical engineer I don't think the lens is such limiting factor. Greatly increasing the resolution capabilities of the sensor (or film) increases the overall resolution of the system as a whole. For example, you take an unimpressive large format lens from the 1950's that has all sorts of "issues" that modern lenses are corrected for, but you use it to make images with 4x5 sheet film with incredible resolution capabilities and that system as a whole will easily out resolve any modern, well-corrected 35mm format lens shot on 35mm film. Hence you aren't exactly being capped by the resolution of your lens. Of course higher resolution sensors magnify lens defects as well and therefore sharper lenses will also make sharper photos no matter what the resolution capabilities of the film or sensor. So I agree that bad lenses make lower resolution photos than good lenses given that the sensor/pixel count is equal. I just think there is a little misinformation surrounding statements like "the lens can't even resolve that much detail" or "the sensor is out-resolving the lens." It doesn't really work like that. You are comparing different medium format sizes. Keep in mind that diffraction is a characteristic of a light. I am not saying that it will be huge issue in new canon even though I think pixel-peepers will be able to notice the difference; I am just saying that the resolution can be capped by either lens or recording medium. I recommend to read this article if you are interested about the subject. I understand your point and that is an interesting link. Yes format size is an element of diffraction limitations. Being that the sensor size is part of the equation, it isn't simply the lens limiting resolution, but rather how it interacts with the sensor/film format size. Thus diffraction is a function of the lens/sensor system, not solely an issue with the lens. 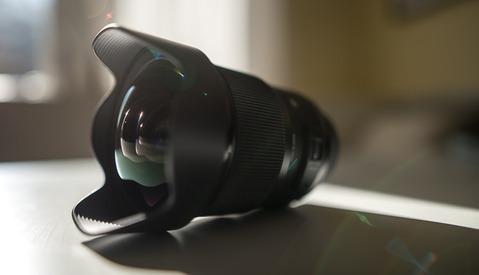 However saying that resolution is limited by diffraction is different than saying resolution is limited by the optical quality of your lens (which is what most of the above comments regarding lens quality refer to). All lenses experience a drop in resolution once you close the aperture down to a certain point (format dependent as you mention). That's not really the lens limiting the resolution of the sensor (although I see how you could make that argument in a round about way). I see it more as a physical property of any lens that gradually degrades resolution of the lens/sensor system from it's maximum capabilities. It's is more dependent how the lens is used as opposed to how well it is made/designed. If I shoot my lens directly at the sun I will get less resolution and technically you could say the lens is limiting resolution. However, that is something I can control to maximize resolution (ie: don't shoot into the sun). I think most people would realize that if they shot every image at f/32 and got consistently soft images or less than optimal sharpness that it isn't the optical quality limiting resolution but rather them utilizing the lens/sensor system at settings which hinder the resolution of any lens. What the posters have been commenting on regarding a 50MP camera is that the quality of current lenses is not sufficient to resolve such levels of detail, not that diffraction is limiting the resolving of detail. The point of using other formats as an example wasn't to discuss diffraction limitations which apply to all lenses, but rather to point out that lower quality, less resolving glass coupled with high resolving sensors/film can and will out-resolve excellent lenses coupled with significantly lower resolution sensors. All very interesting topics and I agree with what you say about diffraction. I was just addressing the issue of the quality (good or bad) of modern lenses couple with high MP sensors. First I never said that lens limits sensor's resolution. It will however limit the resolution of the image and more pixels won't help. As you said: "Most of that notion is founded in a misunderstanding of how resolution works." The film in 4x5 is not "high resolving film". It is the same film that you will have in 35mm. Except that the same detail will cover larger area of film when photographing on 4x5; thus, more grain (comparing to pixels) will be used to resolve that detail on final image. If someone would really care to compare and cut out a 35mm crop from that LF film and enlarge it, one will find the same limits of lens resolution that other 35mm lenses have. Older lenses, good example is 24-70L ver.1, did not resolve details effectively, so there was a need for newer version for newest cameras. If you will look into large format photography you will find that new lenses are made specifically for digital sensors so that higher resolution will be utilized. From www.schneideroptics.com: "As a result, the imaging capabilities of Digitar lenses are so great that they meet the highest resolution requirements of today's CCD imaging sensors"
Again, I don't know how each lens will perform on new 50mp CMOS, but it is possible that some lenses will not be able to resolve the details utilizing full resolution (as a pixel count) of the new sensor. Ok, I think we are debating sematics at this point. All of the links and info you posted says what I am trying to say and I think what you are saying as well. (The lens and sensor work together to determine the final resolution of the image) I still stand by my original argument that any lens you have been using on something like a 5D MKIII will give you higher resolution if you use it on the new 50MP 5D unless it is total junk or defective. "The film in 4x5 is not "high resolving film". It is the same film that you will have in 35mm." Yes, but the point is that the medium recording the image has considerably higher resolving power. By the same token, if the lens quality and format remains the same (35mm for example) but one image is shot on Techpan and the other Tri-X, the Techpan shot will resolve more detail with any lens. Again, my argument is that a good lens increases resolution with any format but you don't need to spring for thousands of dollars in lenses in order to see a resolution increase with a higher MP camera. My argument is contrary to statements such as "waste of time, lenses can't even resolve that much detail." "From www.schneideroptics.com: "As a result, the imaging capabilities of Digitar lenses are so great that they meet the highest resolution requirements of today's CCD imaging sensors"
There is a little bit of marketing that goes into statements like this. I'm sure the lenses are great but it also helps Schneider's bottom line to inject a sense of "necessity" into advertisements. It's similar to Nikon's release of a list of lenses that were deemed "worthy" of the D800, but which also happened to be their most expensive versions. A handful of them are easily bettered (in terms of resolution) by models costing a fraction of the price (which weren't included in the list) so it's best to take that with a grain of salt. lol well Roman while I disagree with that statement it is definitely an interesting topic to discuss and I enjoyed the conversation. Either way, both lenses and sensors seem to be improving everyday which is a good thing for everyone! I do agree that oversampling the image will give more detail to the shot, no matter what lens is being used. However, with soft lenses, I believe you are getting seriously diminishing returns at 50Mpx. Have you looked at the sample shot of the Tokyo skyline? That poor 24-70 f/4 L didn't stand a chance. On top of that, we're seeing the sacrifices on DR due to the high pixel count. I'm sure this camera will make several studio shooters very happy. Those samples with the 70-200 are stunning. But this is a very specialized camera. IMHO you're not getting your money's worth other than if you're shooting very nice glass in controlled lighting. - It doesn't seem to necessarily be an upgrade over the 5dmkiii for landscape. But th Tokyo picture can't be used as a referendum on the camera as a landscape shooter. That picture reflects the exact expected lens behavior based on the settings, no camera is going to change that. Stop the lens down to f/8, put it on a tripod so you can shoot ISO 100, and THEN we can scrutinize it. The Tokyo picture is a really odd sample. I have experienced resolution problems with my d810, paired with certain lenses. With lenses that are not as sharp as they need to be for 36mp, the image is almost identical to images from the d750, with almost no noticeable difference in detail. (with an older sigma 70-200mm). Where the d810 can bend a bit to the mercy of a less sharp lens, it has an unbelievable dynamic range, that provides the 'detail' over other models even with the same lens. If the canon can provide the proportional DR equivalent of the Nikon/sony 36mp sensors, I think it will still be a winner. Wish it was going to be better for video though.